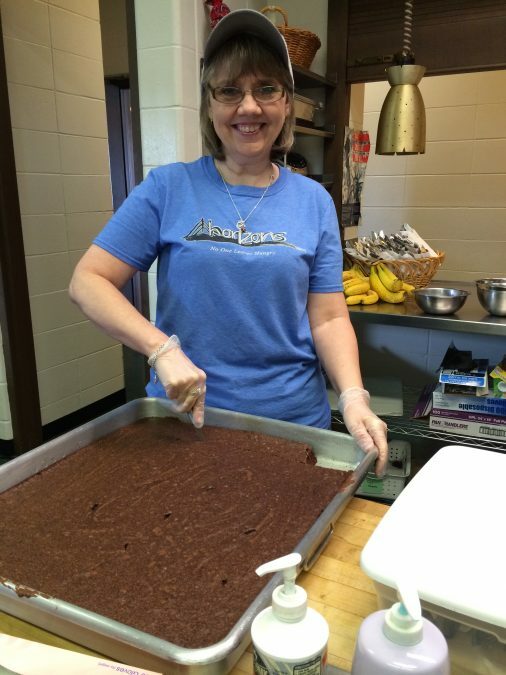 Bobbi Porter brings her love of life and infectious smile, as she helps Horizons serve meals to the poor and needy. 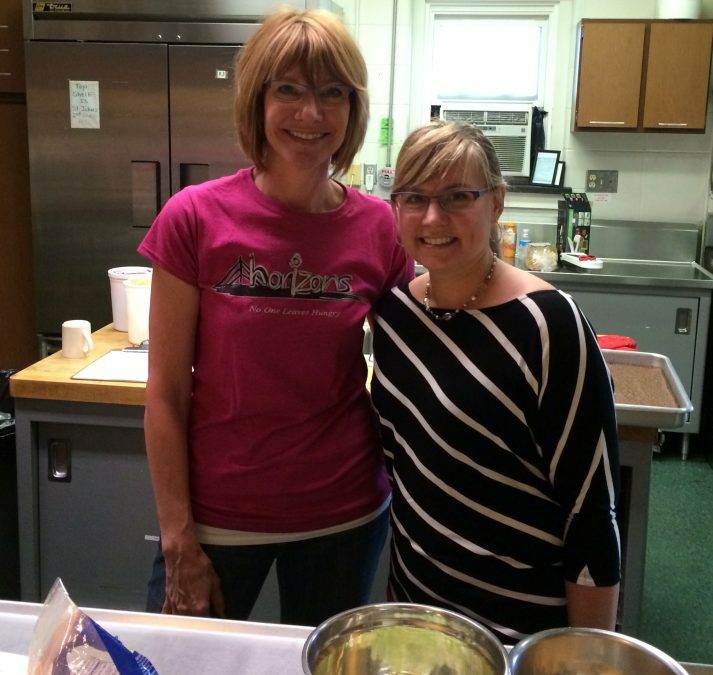 Horizons’ volunteers pour their hearts and souls into the success of our feeding programs. 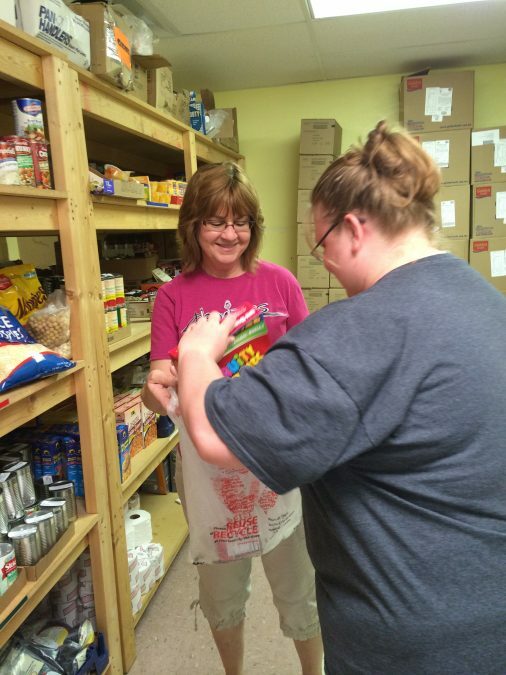 Judy Wheeler tells why time spent volunteering in Horizons’ Food Pantry has grown into a passion for her. 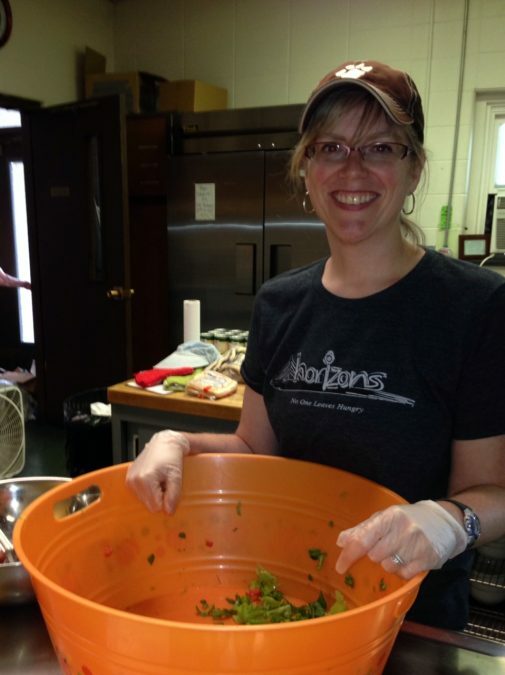 Our amazing volunteers worked over 12,000 hours last year, helping Horizons feed the hungry people in our community. Feeding peoples’ bodies with nutritious food is an absolute necessity for life. Horizons adds to that mission by creating a safe, loving, and respectful environment to also feed souls which is also critical for Life. 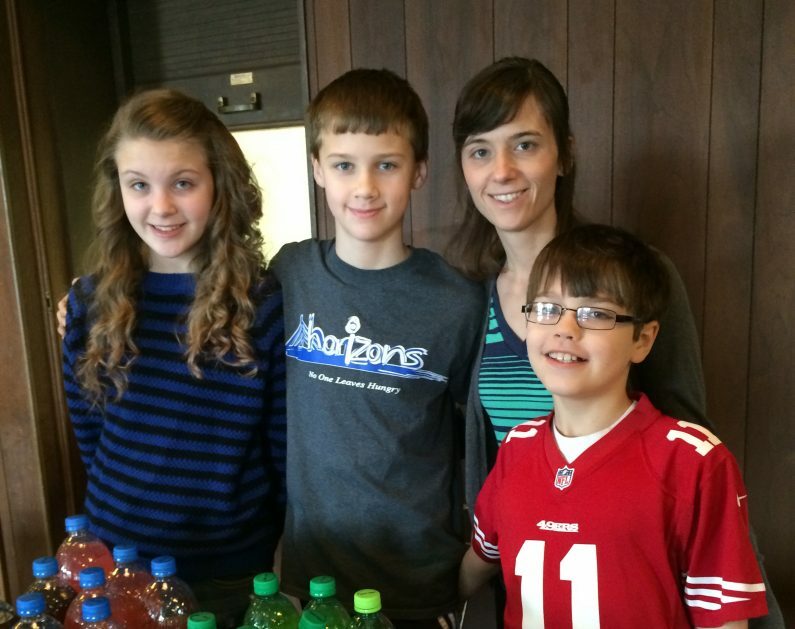 Horizons is blessed with the services of Donna McKee, a volunteer from the Church of Christ. 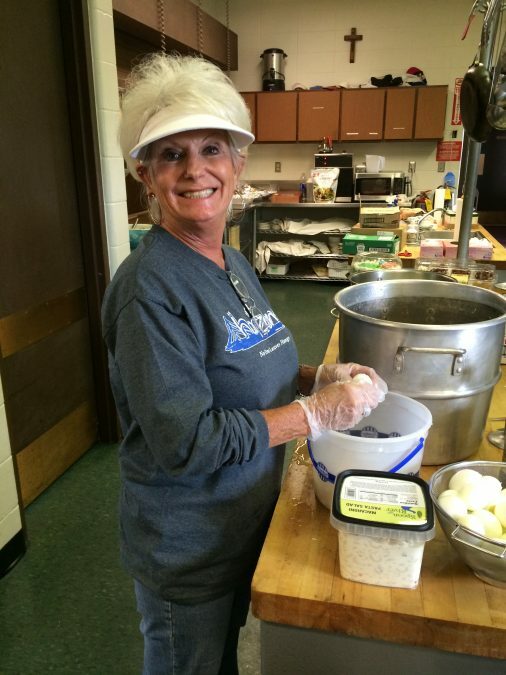 Donna is a reflection of Christ love as she helps serve the poor and needy in our community. Experiencing God and joining Him in His work is always transformative and faith building! Horizons volunteer, Sharon Tweedell recounts an “Experiencing God” chapter in her life that will move you and inspire you to find your own “Experiencing God” story. A few years ago I signed up to volunteer at the Horizon’s soup kitchen. I was drawn to serve there because if there had been a free meal line when I was a kid I would have been in it. I knew what it was to be hungry…..